J.A. 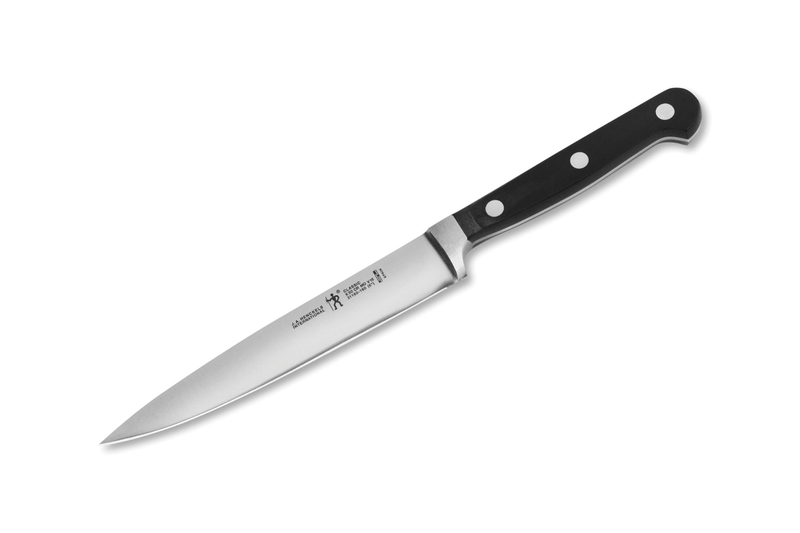 Henckels International Classic series features a heavy weight, forged blade and a classic 3 rivet handle design. The result is a knife of truly professional caliber knife at a great value. This professional construction assures high durability, proper weight, and superior stain resistance. The hand honed blade guarantees a precision cutting edge that will stay sharper longer. The triple riveted, classic design handles are durable, comfortable, and unbreakable. The full bolster also provides added weight and ensures safety.